The Coopered Tot: Two expressions of Springbank Cask Strength: One Coopered in Sherry, One in Bourbon Cask. Which is Better? Definitely a tricky question. I'm working my way through Springbank's CV whiskies right now, so I'm interested in hearing how their older whiskies hold up. I review several of the versions from the late 90s - where were superb. I need to review the current lineup. Apparently the flavor profile has changed. 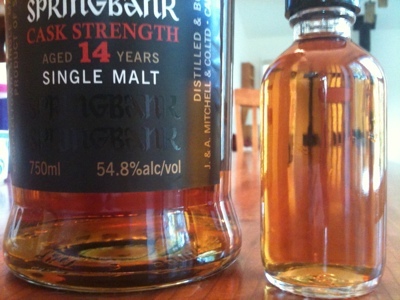 I love Springbank's raisin sweet and yet also salty maritime flavor profile, rich with honest grain and some distant peat. 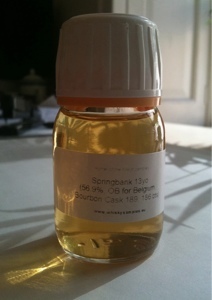 But sometimes Springbank seems almost like a chameleon: resembling an Island malt in one expression, a Highland in the next, and a Lowland (it is almost triple distilled - distilled 3 times but the final time including a mix of low wines and high - so it's called "two and a half" times distilled). 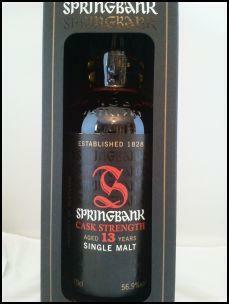 It's that simultaneous presence of attributes of so many styles that makes Springbank so very special. Sweet, yet maritime. Thanks so much. I only wish I could have come to a clear conclusion and that I could have tried all 4! I'll keep my eyes peeled. 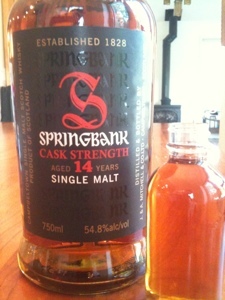 Next Springbank maybe the OB Cask Strength 12, which has a mix of sherry and bourbon cask aging. Goldilocks? 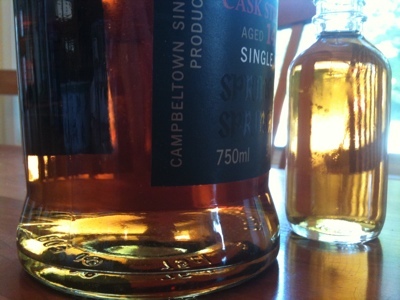 If you look around, you might be able to find the American 10 year, 100-proof OB that came out before. 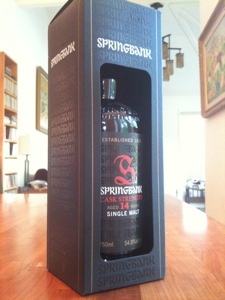 That should be pretty comparable to the 10 year, 100-English proof, bourbon cask only Springer that came out in England. From some reviews the Springbank 12 can get sulfur notes so if you're sensitive be wary.